Ceviche, a South American staple, uses citrus juice instead of heat to ‘cook’ fish. What a great way to beat the dog days of summer! 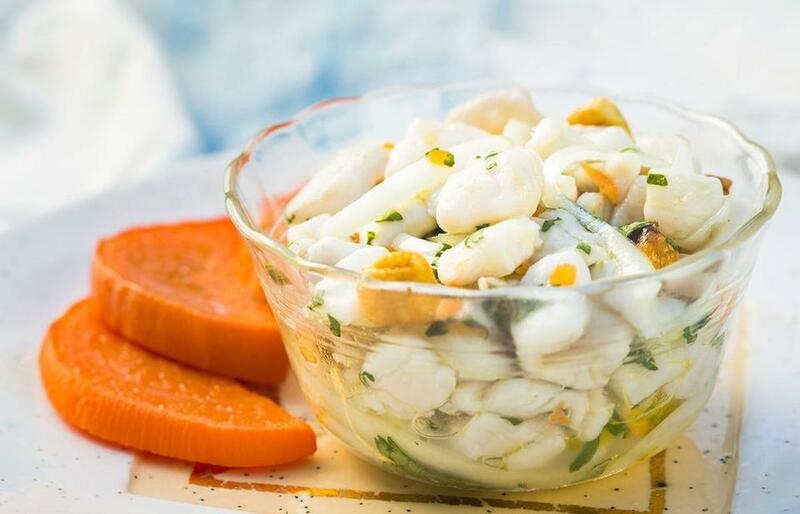 In most coastal South and Central American countries, ceviche, or citrus-marinated fish, figures heavily in the local cuisine. The ingredients and styles vary, but the dish is served throughout the region, and so the differences have begun to blur. Here we have three simple recipes--from Peru, one basic formula and another with a creamier, fishier marinade (leche de tigre), plus an Ecuadorian ceviche that uses ketchup and cooked shrimp in place of citrus and raw fish. This is a very basic recipe featuring the most important components: fish, salt, acid, onion, chile, and cilantro. I also add a little garlic and oil to help balance the acid. If you can get your hands on sour oranges, try their juice in place of the lime juice. For efficiency, toss the fish with the salt first, and refrigerate it while you prepare the other ingredients. Ceviche will continue to firm up as it marinates, so for optimum texture, don’t let leftovers linger. Neatly cut the fish into 1/4-inch thick slices or 1/2-inch cubes, and place it in a medium glass, ceramic, or stainless steel bowl. Add 3/4 teaspoon salt, toss gently to coat, and refrigerate for about 15 minutes. Add the lime juice, onion, habanero or aji amarillo, garlic, and 3/4 teaspoon salt, stir to mix, cover, and refrigerate until the fish appears opaque and firm on the exterior yet remains tender and barely translucent within, about 30 to 50 minutes, depending on the type of fish, your preferred texture, and the size of the pieces, stirring the fish once or twice during that time. Add the olive oil and cilantro and stir to mix. Adjust the seasoning with salt and habanero chile pepper or aji amarillo, if necessary. Using a slotted spoon to allow liquid to drain, divide the ceviche between serving plates and serve at once, passing Corn Nuts and sweet potato at the table. 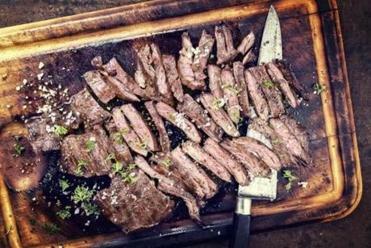 Leche de tigre, or “tiger’s milk,” is a thick marinade made by blending citrus juice, seasonings, oil, and a little fish, fish stock, or both, which provides body and savory dimension. Sometimes shots of leche de tigre are served with the ceviche. 1) Increase the quantity of fish to 1 pound plus 2 ounces and decrease the quantity of lime or sour orange juice to 3/4 cup. 2) Salt and refrigerate 1 pound of the fish as directed. Meanwhile, in a blender, puree the extra 2 ounces of fish (about 1/4 cup), the lime juice, habanero or aji amarillo, garlic, oil, and 1 teaspoon salt until uniform. Adjust seasoning with salt and habanero chile pepper or aji amarillo if necessary, and blend to incorporate. 3) Set a fine-mesh strainer over a glass, ceramic, or stainless steel bowl and strain the mixture, pressing on the solids to exude as much liquid as possible. Using the leche de tigre in place of the lime juice, add the salted fish and onion, and proceed with the recipe. Do not add any extra oil with the cilantro. Since the shrimp are cooked, this recipe is a good choice if you prefer to avoid raw fish. Slices of avocado make a nice accompaniment. Place 4 cups tepid water, the shrimp, and 3/4 teaspoon salt in a medium saucepan. Set the pan over medium-high heat and cook, stirring occasionally, until the shrimp are barely firm and just cooked through and the liquid temperature reaches 170 degrees on an instant-read thermometer, 6 1/2 to 8 minutes. Drain the shrimp and rinse under cold water to stop the cooking. Blot the shrimp dry. Meanwhile, in a medium glass, ceramic, or stainless steel bowl, whisk the lime juice, ketchup, oil, garlic, and 1/2 teaspoon salt to blend. Add the shrimp and onion, stir to mix, cover, and refrigerate to chill and blend the flavors, at least 45 minutes. Add the tomato and cilantro and stir to mix. Adjust the seasoning with salt, if necessary, and hot sauce, if using. Divide the ceviche between shallow serving bowls and serve at once, passing extra hot pepper sauce at the table, if desired. Strongly acidic citrus juice, like lime or lemon juice, denatures proteins in fish, turning the flesh opaque, but it does not cook it in the traditional sense. Likewise, ceviche marinade won’t kill all illness-causing bacteria or parasites that could be present in the fish. 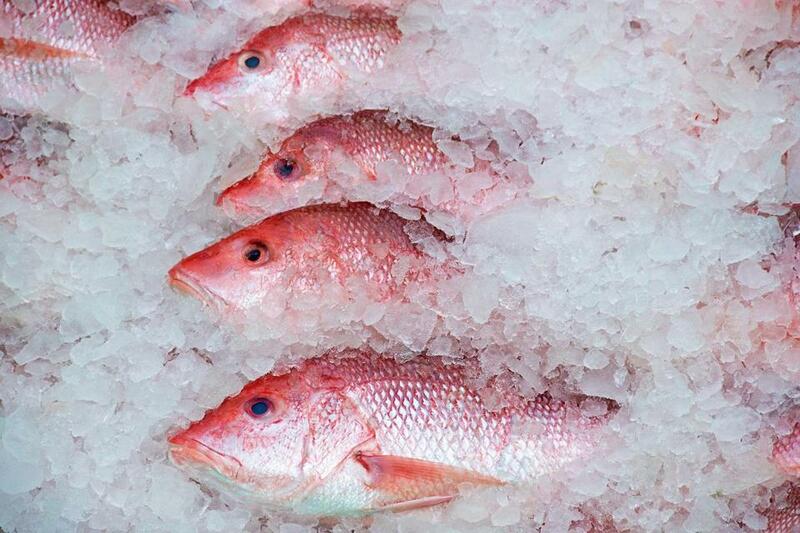 Buying commercially frozen fish and thawing it overnight in the refrigerator will minimize the risk. Otherwise, buy from a reliable and trusted fishmonger. Tell the clerk that you plan to eat the fish raw and ask for recommendations regarding the freshest options. I tried side-by-side ceviches using the same recipe, one with fresh fish and the other with fish I bought frozen and thawed myself. My fellow tasters were divided. Some thought the frozen fish tasted as good as the fresh fish version, but I didn’t. To me, the fresh fish was noticeably more flavorful.